TAHEIMA 312 | NuHome Realty Co.
Taheima,is a relaxing oasis nestled in El Tigre Golf Course in Nuevo Vallarta. 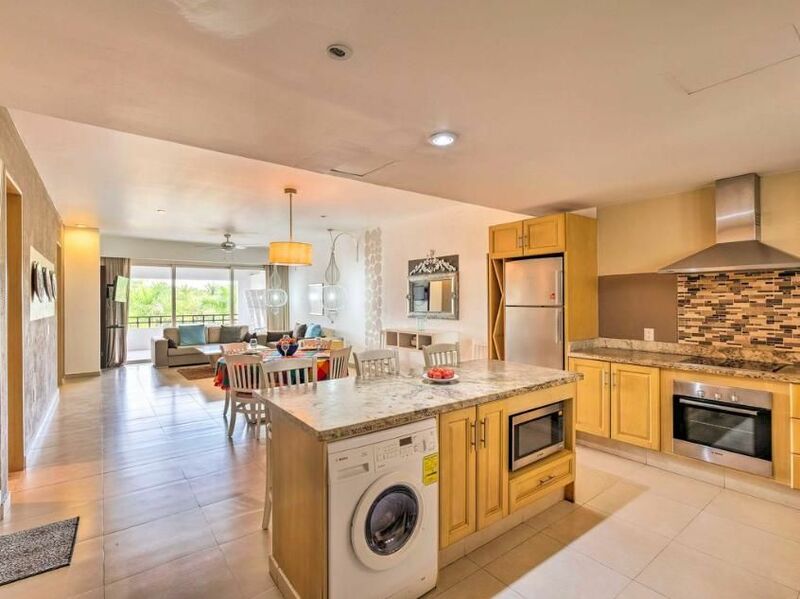 Beautiful turn key 3 bedroom Penthouse condo with private roof top terrace. Two bedrooms located on first floor and private 3rd bedroom located on 2nd floor. Completely furnished ready to move in; feels just like home. 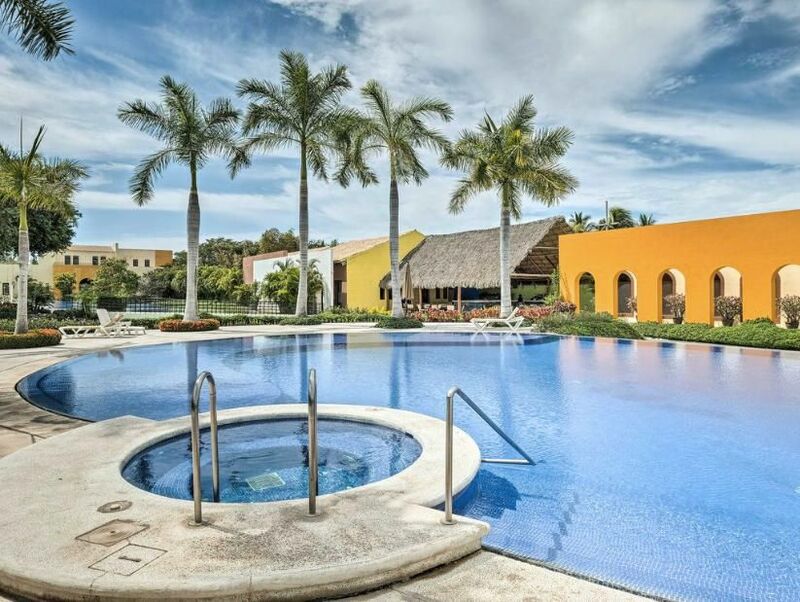 The price includes; underground parking space and a Bodega for storage Enjoy the spacious common pools located across from a picturesque lagoon. The condo has mini split air At pool side there are ample lounge chairs, umbrellas and tables, a shallow end for kids and adult depth for splashing, laps, or just a dip. Beach & Sport club access included with the social membership. Nice rental unit.